How To Become A Professional iPhone App Developer? Are you a final year student? Are you done with graduation with no clue what to do ahead? Well, if yes you are facing nothing new. This happens with most of the students, but that’s why we are here, right here to take you out of this confusion and show you what exactly you should do, why, how and from where. To answer your first question, what should you do is become an iPhone app developer. Now, coming to the second question, why?? The market is high on demand, the new iOS tech trends are always in buzz, the demand of iOS developer is high in the global market and yes this is why you should become an iOS developer. Coming to the third question how can you be a professional iPhone app developer? The answer is long. So, let’s get started. Yes, the first thing you need to do is to buy a Mac. You can’t start with the iPhone app development on any desktop or laptop. A Mac is mandatory for that. Always you don’t need to have the latest, the most expensive one but you need to have at least the basic one. For the entry-level learners, Mac Mini can be a considerable option. Now, when you have got your Mac, it’s the time for you to install one of the must-have software for iOS development. Xcode is basically IDE (integrated development environment) for iPhone app development. This software is totally free and available in the Mac Store. XCode Software will allow the user to write and edit the code, debugging, drawing the iOS app in the storyboard, test the app and many other things. xcode software also helps in uploading the app in the Apple app store. Getting acquainted with this software is mandatory for anybody intending to be an iOS developer. Well, this is something doing on your own would be difficult. Learning a programming language, coding and stuff all on your own is tricky. You can start with watching development tutorial on the YouTube. Learning Objective C & Swift without the aid of training will be tough which leads to the next step that is training. iPhone being a challenging thing to learn if you don’t think you can pull it off yourself, find a training institute that can help you get you achieve what you are looking for. Well, Choosing A Right Training Institute is also a challenging job which takes us to answer the fourth question where should you take the iPhone training. Let me give you the simple answer, “Developers Academy” it is. It is one of the best iPhone Training Institute consisting of every teeny weeny aspects of the development syllabus, along with the live project training experience, certification, and placement opportunities and support. Now, before you start with your own app you need to get your skills polished and enhance your knowledge base. Start working in one of the reputed companies and get acquainted with the work culture, environment, and the entire development lifecycle. This experience can assist you a lot when it comes to developing your own app. Well, this is all you need to do for becoming a professional iPhone developer. I know this sounds easy and actually not. But, this is all the best possible way to do. Go get started. Do Mobile App Developer As A Career Option Have Scope? Any job profile that keeps on trending day after day and doesn’t have any chances of experiencing the downfall in the near future is of the app developer. Well, app development is not just limited to coding and getting done with. It’s a lump sum deal starting from designing, developing, customizing, maintaining and that too in any of the platforms whether it is Android or iOS. Well, there do exist other platforms as well but these two platforms cover 99.3% of the total marketplace as per the data of statista. Let’s step on how you can shape your career as a mobile developer. Well, the only you can be a successful developer is when you train yourself rigorously and gain knowledge and skillset. This is how you can survive in this competitive time. So, the question is which is the right iPhone or Android training institute to enroll yourself into. Also, the time period of training and things to learn during that time period are some of the considerations you must be having. If you have scrolled the internet and searched for different Android and iPhone classes, and stuck with the confusion which is the right one, can I help you out? Developers Academy is the best institute providing Android, iPhone and PHP training. Also, the institute provides live project training to make the candidate ready to do any project. What Should Be Included In The Developers Training? Fair knowledge of how to integrate the design into the development. Understanding of the different methodologies of app development and adaption to the latest agile scrum methodology. Knowledge of the app development lifecycle right from the design to development, testing to deployment, maintenance to updates. The experience of working on the live projects. The talent of developing a glitch-free app. The knowledge of building an app from scratch as well customizing an already existing app. Well, before jumping into any career choice, it’s better to check the market whether it is in the need of who you are going to be or not? It’s not just about whether app development is on trend or not. Which platform is in the demand? whether it is easy or not? If it is difficult would you be able to grasp and implement it? To answer it all, yes app development has a future and is not going to vanish anytime in future for sure. Every business, despite the fact small or big, is on the track to get a mobile app developed. Also, whether Android or iOS, choose any of them you are not going to be out of employment in either. The only thing is that with iPhone, you need to have a Mac to get started with the development. Well, it’s expensive. Apart from training, if you want to practice at home or want to do freelancing, Mac is a necessity. This is not the case with Android development, it can be done with any PC. So, look forward to this aspect before choosing your career path. So, yes you are on the right track to be a developer. 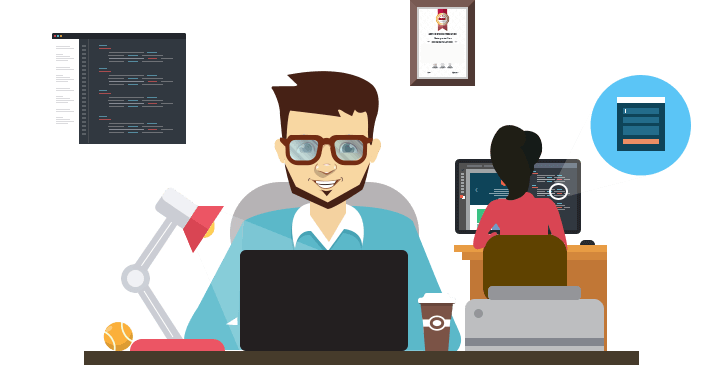 Having the right skill set, knowledge base and passion to learn new things, you can totally rock as a developer. Which Programming Languages Should You Learn To Become An Android Developer? So, you have decided, you are going to frame your career as an Android developer. Cheers to that!!! But, you know right that vision won’t be accomplished in the absence of the mission. So, the mission should be to find the right Android training institute and get enrolled on the go. Well, you can’t go dumbstruck to the institute without any clarity. Android is not a small subject to get started with and most importantly to get done with. Before getting on the journey of Android coaching, you need to answer certain questions. Which is the language you want to pick? What is the perfect place to get started to learn this language? Whether to learn basics or learn the advanced as well? I know for a newbie, its bit difficult to answer this questions right away, that’s why we are here to help you. Here is a gist of languages you can pick on your way to be an Android developer. The official language for Android app development, You cannot move ahead with this career if you are not in the know of this language. This language has the official support from Google and majority of the apps listed on the Google Play are built with this language. This language is also the second most popular one on the GitHub. The language has been around for 20+ years and is not going anywhere any soon. The language is here to stay and the fact that it is so long makes learning bit easy. There will be sources for self-learning, different videos, tutorials and even experts in this field. Since this language is so popular, we suggest starting the Android journey by learning Java. This language is comparatively newer compared to Java and specifically designed to run on the JVM (Java Virtual Machine). Kotlin apps are developed in a way that it can run on any of the machines which are in support of the Java runtime environment. If the agenda is of developing cross-platform apps, Kotlin is considered as an easy language to learn and implement. Java is older and hence have certain downfalls, while Kotlin has each and every best part of Java eradicating the drawbacks. Kotlin as a programming language is fast, modern, and entails the developers with more advanced and comfortable programming. 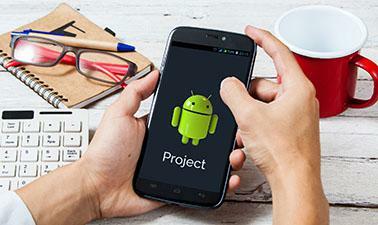 There are two official development kits provided by Google for developing Android apps. The one is SDK which makes use of Java and another one is NDK which incorporates the use of native languages like C and C++. However, it’s not possible to develop an app using C and C++ without nil use of Java. For the majority of the app, you don’t use NDK. It should be used only when computationally high-performance apps need to be developed. Apart from that, the developer should stick to Java. 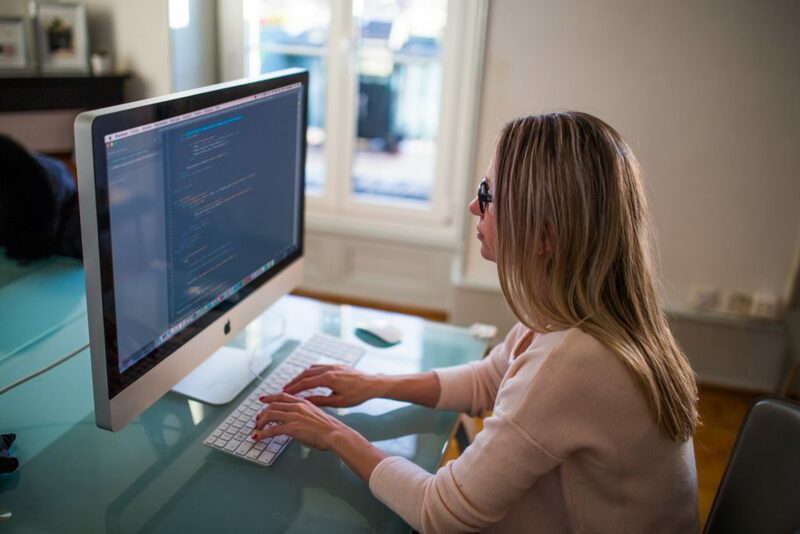 These are the must-know languages when it comes to front-end web development. By learning these languages, the developer can gain the skill set to develop both mobile and web apps. With these languages, the web app can be converted into an offline app by using platform magic. 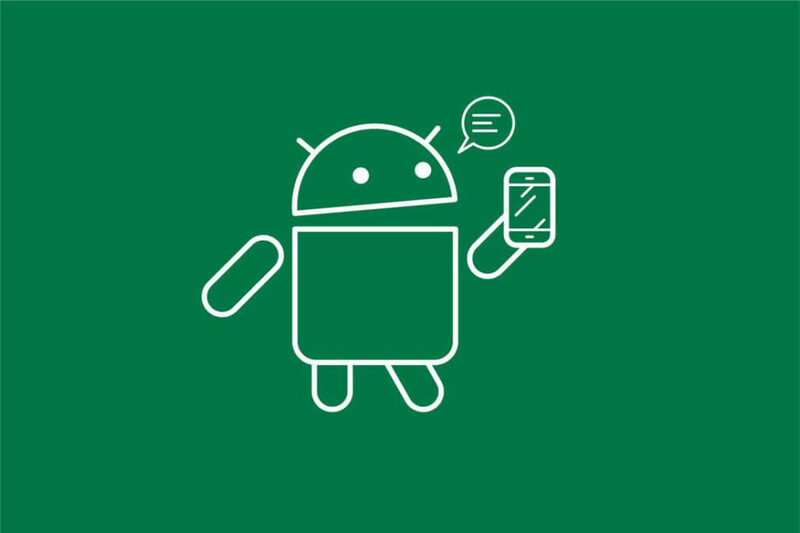 Well, if you are confirmed which language should you pick and looking forward to finding an Android coaching that provides live project training, Developers Academy is the place to step in. Even if you are confused, the experts at the Academy will guide you and help you learn the right thing to frame a successful career. Is HTML5 Right Source For Mobile App Development? Check their hands, check their pockets, check their bags…what you will get is not the drugs but the apps, mobile apps. Over past few years, a giant hype has been witnessed in the mobile devices and apps. Not a surprise, the number of apps surged from 2.8 million to 3.5 millions in the Google Play store. No wonder why all the businesses are hiring mobile app development company and in a hurry to develop and deploy well designed, user-friendly and highly interactive mobile apps. They hire mobile app developers to manage a place in the user’s life and a gigantic amount in their bank account. The need of the hour is not just a mobile app but actually, it is highly coded apps. To cater this need, the source of the hour is HTML5. So, Why is HTML5 Efficient? It is an app development tech but high end which entails the developers with the power to deploy an app on varied platforms like Android, iOS, Blackberry, Windows and web browsers like Chrome, internet explorer and Firefox by using single coding. 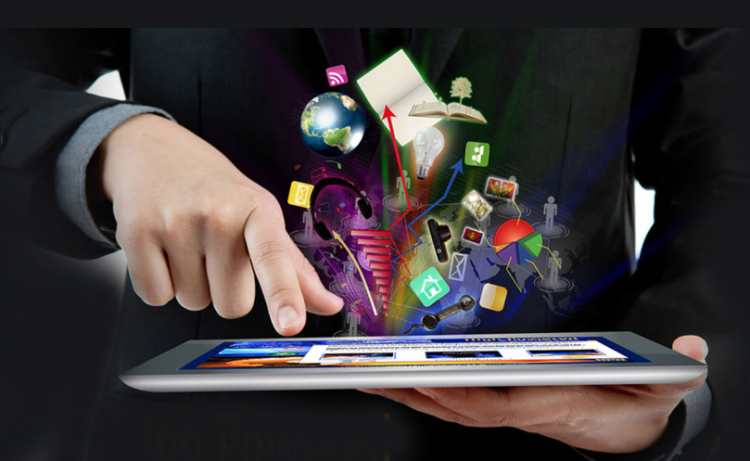 The use of HTML5 in app development is becoming more of permanent nature. Considering this, it can be said that HTML5 is the future of app development. What are the Benefits of HTML5? 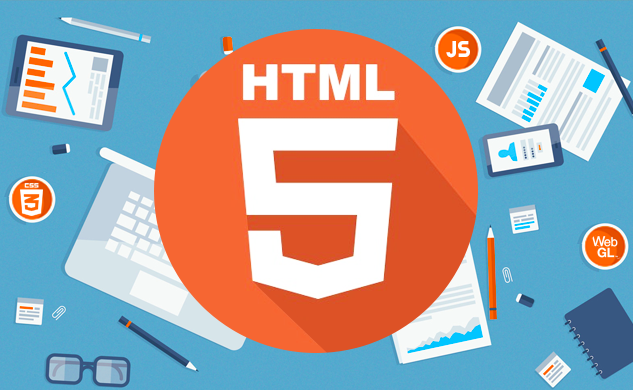 One of the most popular reasons for driving app developers towards using HTML5 is its design to work across multi-niche platforms tagging along top web browsers and operating systems as well. The app users are allowed to download and also install the web apps like an icon of the screen when it is designed and developed by using the HTML5. This simply means that if you are searching for any of the apps on the web through your phone, you will be able to explore apps that can be stored on the home screen of the mobile device. Through that, you can create an app icon which can take you directly to the given web page. What’s the Reason Behind its Popularity? As per one of the research done among the individuals across the globe, it has been concluded that 60% of the mobile app developers are indulged with the use of HTML5 for developing smart and highly interactive apps. Apart from that, the top 500 companies have started using HTML5 for designing and developing highly efficient mobile apps. When compared with other app development technologies used for the development purpose, HTML5 carries a growth rate of around 20%. This is the highest range of all the others in the available segment. When seen from a global perspective, HTML5 is not just admired & appreciated but also accepted with an open heart by the developers. This is on the grounds of the ease of use and familiarity with the technology. HTML5 saves the developers from the tedious development work and cuts back on the costing of the mobile app development process. 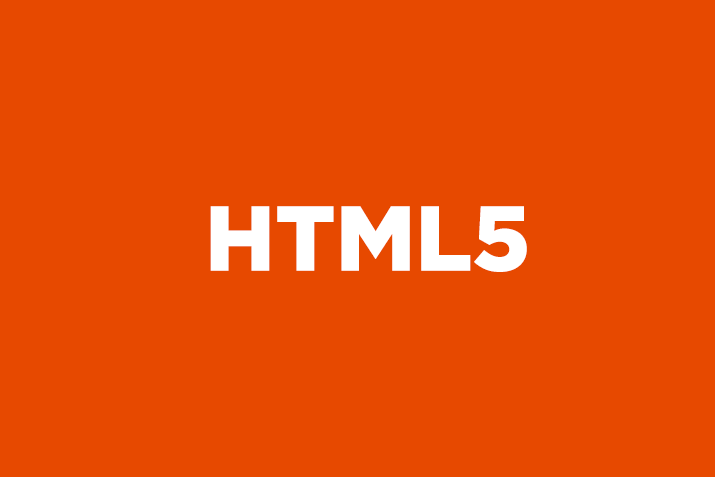 Also, one of the glittering benefits of HTML5 is that it is availed with open standard support. You can customize these apps as per the platform specific needs that will help you decide the overall app functionality. Developers have ingrained the use of HTML5 as their favorite coding technique for native app development. Is HTML5 Future of App Development? Despite it being recognized as OS free developing technique, it still refrains from being declared as an effective desktop language for the upcoming mobile app development strategies. However, this doesn’t keep developers away for so long from adopting HTML5 in routine usage. Those who are already engaged with the iOS app development, there are no divergent ways to the fact that they already know the benefits. But on the contrary for the newbies still looking out to build their career might not exactly know. For quite a long time, Object C was the sole language used developing iOS apps. Objective C is the subset of C with added benefits of dynamic runtime and object-driven features. Well, the perspective of iOS app development was shaped in a different manner with the launch of Swift by Apple. The newer programming language was referred to as objective C being devoid of C.
Now, Swift was accepted with an open heart by the iPhone developers as it was safe, easy, modern and easy to learn and use. Also, Swift allows a great level of interactivity in the development process. The features in Swift simplifies the common patterns that are used in Objective C. Generics, closures, and type of interface used in Swift are comparatively easier to use. Swift is a combination of both C and objective C eradicating the hurdles that are tagged along with both of them. The attractive part is support of Cocoa Touch and Cocoa which clear outs the understanding of app development for Apple devices. If you are anywhere thinking to indulge in iPhone training and become an iPhone developer, learning Swift is mandatory. One of the biggest benefits of Swift is that it eradicates the unsafe code classes. Also, in case of Swift, there is automatic managing of the memory, elements and arrays are checked for the overflow and the variables have to be initialized before using. The syntax is made a lot simpler, let is used for the constants, and keyword var is used for the variables. The Swift safe pattern has also been tuned for the Cocoa Touch and Cocoa APIs. 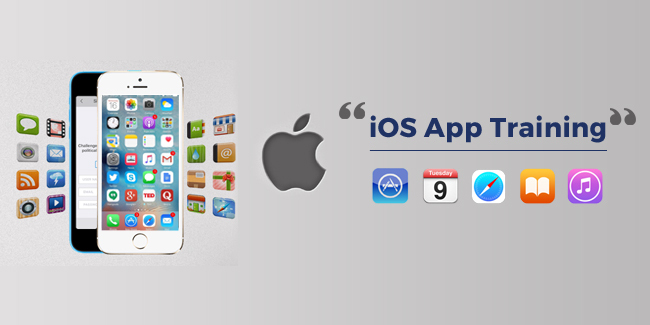 Hence, iPhone app development has been made easy and not to forget secure. 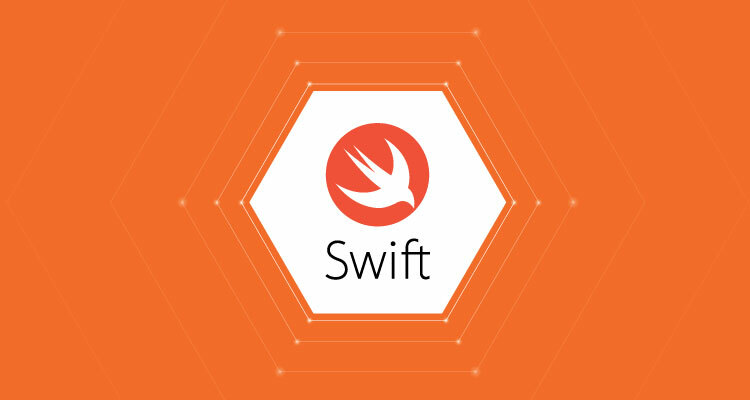 Swift programming language has been developed by making the latest research on all the languages prevalent in the market and bring the best out of all. This language is like a blessing for developers as it saves them from the tedious task of defining all the variables which they are regularly using in development. Also, you can’t toss aside the basic advantage of automatic garbage accumulation that Swift offers. This clearly means that there will be an automatic disposal of the information which is not used and free up the blocked memory rather than developers having to do the memory management manually. Swift has also made the semicolon option removing the chance of errors occurring because of it. Swift was built in a way to make the development process fast. If you intend to be an iPhone developer, you have to learn Swift fast. Its advisable to join a training institute that offers live project training. There is an integration of highly efficient LLVM compiler which will mutate the Swift code into an optimized native code for optimum utilization of the devices. To enable the code to perform at its best, standard library and syntax are also tuned up. We can consider interactive playground to be one of the unique perceived benefits of the Swift language. Just a single line of code input and this language will instantly show the output. Also, if there is a loop in the coding then its progress can be monitored on the timeline assistant. The playground will enable the developers to experiment with the newer API and benefit out of it. Why PHP Language And Not Others? For any programming language to be successful, it’s very important for it to get accepted by the community of the developers. 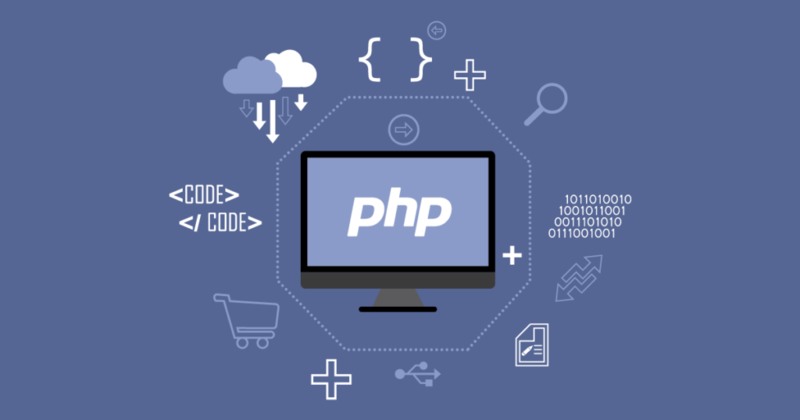 And, yes this community of developers has to be huge and coming to PHP it has passed this hurdle and has gained a considerable amount of popularity among both the users and developers. It is accepted widely for building dynamic web apps using MySQL. Database connection. The language is open source with a suitable development environment, and also budget-friendly, why would anyone not opt for such programming language? Easy to use, feature-filled, and quality-rich, it has every glittering benefit that a developer seeks in any programming language. PHP offers several pros which will eradicate your restrictions from developing something out of the box. 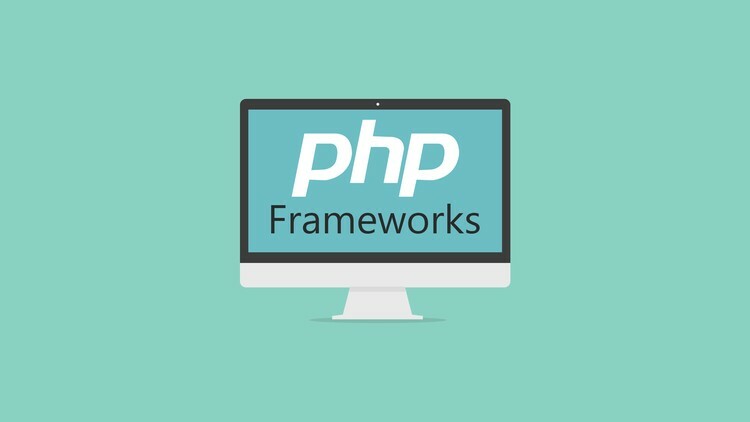 Coming to installation and set up, PHP language is easy to set up and learn. One of the considerations apart from ease and functionality is its demand. Whats the point of learning something which is not in demand? But, you can rest assured about this consideration. PHP developers are in good demand and get good packages if they had proper PHP training and acquired right skillset. Here are some of the reasons why should you choose PHP as your career option and not anything else. There is no chance of it being a cost constraint as it is an open source language for web development. Any and every user can get it for free and also there is an immense amount of technical support from the community of PHP developers. This makes any of the components of the PHP free to use and distribute. Well, the syntax of PHP is easy to understand and also compelling. This language has HTML source code which makes it very convenient and familiar on the part of the developers to code. You will be on the beneficial side if you have any knowledge of Perl and C. Learning PHP will be like a piece of cake if you have any knowledge of any of the above. PHP is basically a syntax based on all these programming languages. PHP can run on any of the available platforms in the market. Whether it is MacOS, Windows, Linux or UNIX, it is available on any of the major platform existing in the market. It is one of the best parts of choosing PHP. Security is one of the basic requirement of any of the app development platforms. Coming to PHP, it builds several layers of security which holds the security breach and other malicious attacks from deteriorating the website. This is one of the biggest pros of using PHP when it comes to developing a hybrid web app. PHP is best because it has support for all of the database like MySQL, SQLite, ODBC and many more. You cannot get this benefit in other programming languages. There are no divergent ways to the fact that PHP is considered as the easiest language to learn. Even with low technical and programming knowledge, you can get acquainted with the skillset of PHP development. Just a live project training for 3 months can get you started as a PHP developer. iPhone App Development: Where Should You Start Learning From? With the hyping craze of iPhone, it is quite blatant that the ones making (not the iPhone but the apps) it are about to increase. Compared to Google play store, the number of apps in the Apple app store is quite low. However, that doesn’t mean from any perspective that the demand is low. In fact, the resources needed to come up with more number of apps are scarce. Hence, for those who are into development field, this is a glittering opportunity to seize and get going to build an astonishing career. But, nothing comes easy, it takes effort, time and firm intention to get hold of a new technology, get equipped with it and get acquainted with its usage. A good student needs a good tutor, similarly a for becoming a good iPhone developer, you need some good and reliable resources to fetch the proper path for your career building. If you are in hunt of those resources, let me help you with that. It is quality-rich and helps you gain knowledge on detailed documentation on the iOS programming language. If you are at your initial stage of exploring iPhone app development training then this is the perfect resource to start with. You will get an opportunity to get to know the tools along with official swift document released by Apple for iPhone app development. If you can’t get things easily into your head and want to take learning process slow, this is the suitable resource to get started with. AppCoda contains stepwise guide and tutorials teaching you how to do development. It contains hardware specific app development tutorials. It contains sections for app development for smartwatch, widgets, in-app purchase, language hacks for app development and so on. For beginners, this is the most reliable and easy learning source. Now, you will say this is something you already know. One of the most easily accessible resources for app development is YouTube. You can get practical sheets and in-depth learning guides on YouTube and that too uncountable ones. You know YouTube has got all you want and that too in abundance. All you need to do is find the easiest one to learn. I know the thing running through your head at the moment is that its a blog. But, a useful one indeed. One of the best blogging source to learn about the iOS development and especially swift. The blogs are about how to start and what is trending. The content is always updated and fresh that will help you learn about the new thing on daily basis. If you are serious and with serious I mean to intend to put your heart and soul into development then opting for live training at some of the corporate training institutes is something you should be opting for. If you want a suggestion on a reliable training seeking source then Developers Academy is the place you should land at. If gaining iOS training category-wise is your agenda, then land at the tutorial point. The learning categories include storyboarding, location handling, camera management, and accelerator. The content is always freshly brewed which is simple to digest and easy to put into use. 23 September 2008, the inception of the Android operating system. Its been a decade now and we feel like it has been here since like forever. It is basically an advanced version of the Linux Kernel and such other open source software. Also, the variants are used in the digital cameras, PCs, gaming console and such other electronics usually used by the public these days. 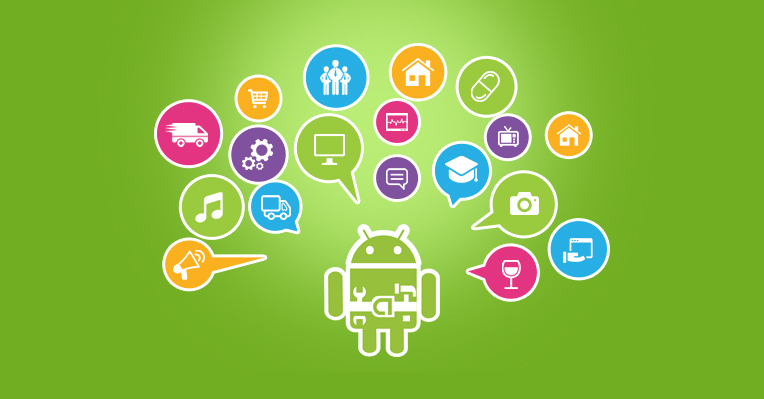 It is a tried and tested fact that Android is by far the most popular operating system across the globe. From 2014 to 2017, the number of downloads from Google Play Store has been doubled. The number of apps in the Play Store on the current date is 3.5 billion and yes that’s a big one. This proves that both users and developers have chosen this platform and find it easy to bring their ideas into execution. A huge volume of people uses Android device and more audience can be targeted through this platform. If you also intend to be an Android developer and target this set of audience, here are few things you must know. Well, this is for those bulk of people who are just at the beginning phase of the Android development. For the novice, XML news website will be a good choice to get acquainted with the basics. This resource won’t charge you a penny and is just a one-page document introducing and teaching you about the structure of the XML document. XML is basically the language which is used to describe things while you are developing your Android app. Coding in XML will decide how will be the apps visual. While developing an Android app, it is advisable to include the feature to make the call to API availed by the other web services. There are certain apps that make API calls to Facebook. This will make the users upload their own pictures from their own Facebook profiles. To make this happen with your own Android app, it is mandatory to have basic knowledge about the HTTP and REST. HTTP is the base that allows the communication over the web. REST works to organize interactions with the app and other third-party systems like Facebook. Java is the basic programming language and for the Android developers, you cannot take even a step ahead without learning it. There are several tutorial videos on YouTube to help you learn it. However, self-learning doesn’t work always, if it does for you, well and good. If it doesn’t, taking Android training from Developers Academy is a good suggestion. If Android development is your career choice, dig each and every available resource and learn from every possible manner. Indulge in self-learning, take training under expert developers and take live project training if possible and master the field. Why Should You Become An Android App Developer? According to one of the surveys, there are around 9000 professionals who are on the verge of changing their jobs. 1 out of 3 professionals explored the deficiency of emerging opportunities for growth in their current job profile. This forced them to change their existing career and shift to something else. It’s really a difficult decision to leave a career that you are currently into and have worked for quite a time and acquainted the skillset and knowledge to figure out there is no growth more than this. These are more of the salaried employees who are bored with their current tedious & monotonous work. They would be more than happy to shift if they discover the better scope of growth in the alternative career. If looking for a career change, why not try the Android developer? 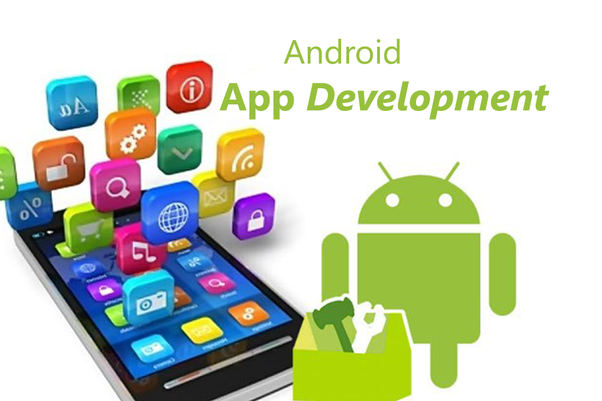 When I ask you why not, before answering my question you will shoot me with a question of why Android app developer? So, let me go first and answer why should you opt Android development as a career choice and then you answer why not. Fair enough? If yes, let’s get started. Why Android App Developer ? Well, I know quite an intimidating number. Hell, that’s true. When there are already these many apps existing in the app store, there is still room for a new 1000 apps entering on a daily basis. This clearly means that the demand for Android apps is significantly high. So, if you have the skills, they will be definitely absorbed. Coming to the skills part, you are shifting to a new career so, it is advisable to opt for the Android training first and join the league of actual developers. This is the total number of active Android devices all across the world. From the time period of 2016 to 2017, there was a download of 82 billion apps and games. At present, 87.7 % of the devices run on Android OS which is expected to hit 6 billion by the year 2020. This facts and figures can assure you that this career option is bright with a great scope of opportunities. As the majority of the business is following the strategy of mobile first, the need of app developers is about to rise in the future. One of the optimistic and pessimistic thing about being an Android developer is the challenge involved. I know confusing, how can it be both optimistic and pessimistic at one single time. See the challenge will keep the extra competition out from even giving a try that’s the positive part. The negative part is that device and OS fragmentation is very high so developing an app that is compatible with all the device size and OS version is a real challenge. It is advisable to opt for a live project training before you join the actual developing field. Along with the classroom training, even online training can make you learn the basics of Android. This was the scene back in the date, in today’s time even advanced skills can also be imparted online making you worth becoming a developer and showing the potential and possibilities in this field.